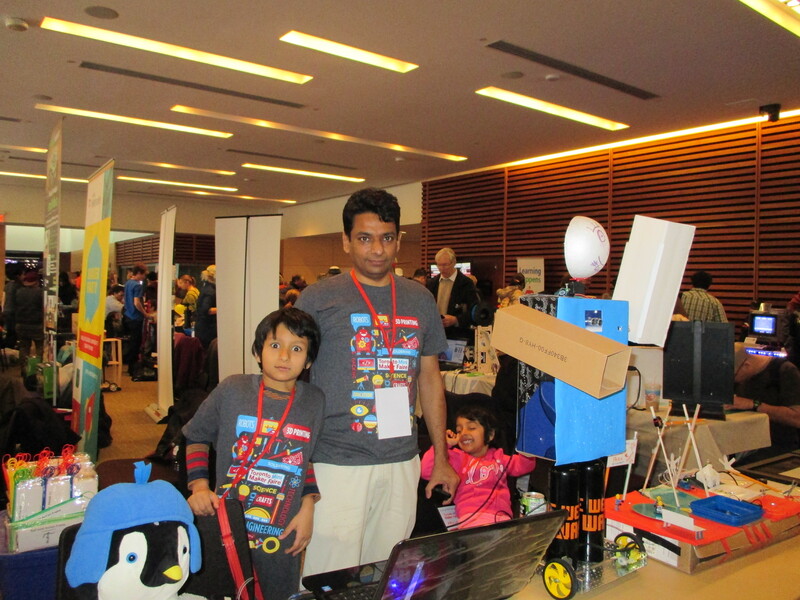 HotPopRobot put some of its most recent and specially made creations at MakerFaire Toronto (22-23 Nov 2014) held at the Toronto Reference Library. 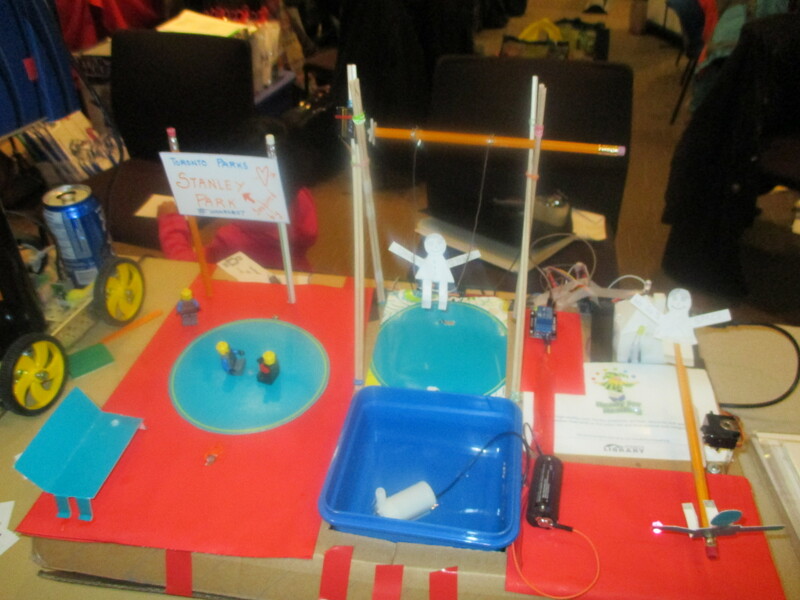 It included Pengy (the Penguin) who is an artist and loves to draw, a Robot which moves and waves to passerby, and a working model of Toronto Parks with swings, slides, merry-go-round and water fou ntain. Hundreds of adults and children interacted with the robots and the creations over the 2 days and learned more about the fun and imagination behind creating something. 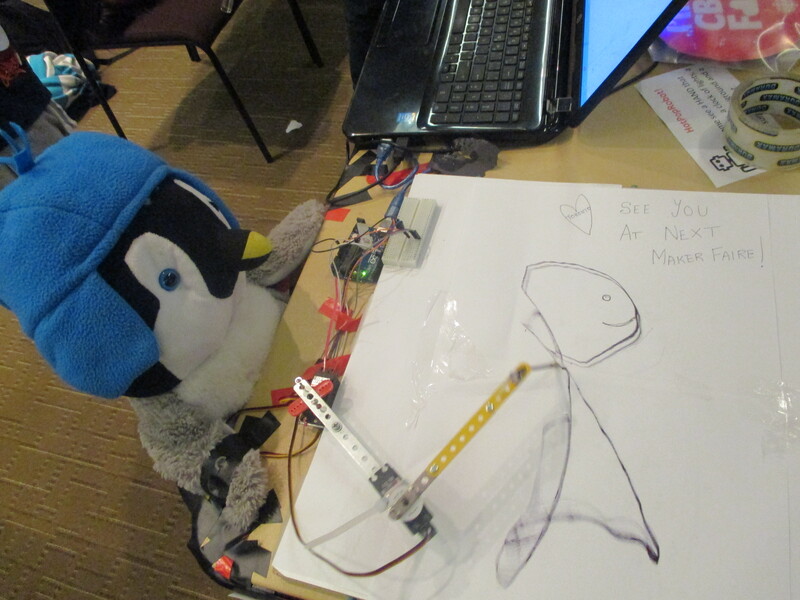 Our robotic artist, Pengy the Penguin was a huge draw for the children. Pengy sketched a bird, a whale and a face.